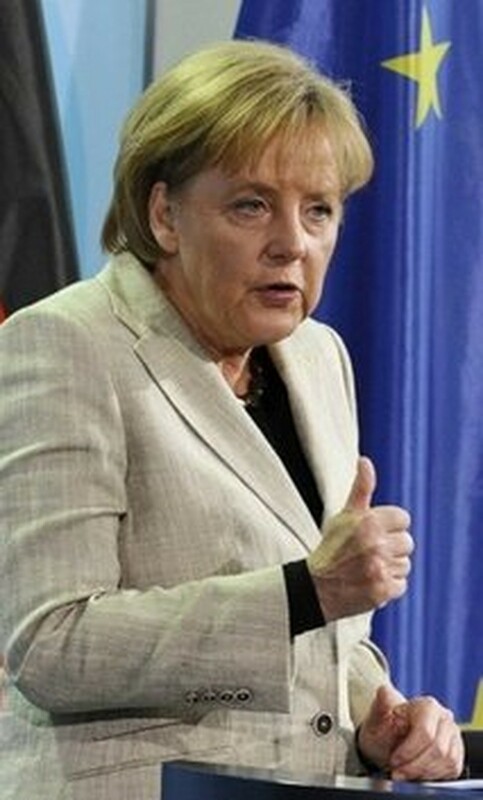 BERLIN (AFP) – A trillion-dollar package to shore up ailing eurozone economies merely buys time until the deficits of certain members of the 16-member zone are cleaned up, German Chancellor Angela Merkel said Sunday. Speaking at a conference of the Confederation of German Trade Unions, Merkel said that recent speculation against the euro "is only possible because of huge differences in the economic strengths and debt levels of member states." With the rescue package, "we have done nothing more than to buy time until we have brought order to these competitive differences and to the budget deficits of individual euro countries," she said. The giant fund of loan guarantees, for which Germany will have to make available up to around 150 billion euros (186 billion dollars), was agreed in emergency talks in Brussels last Sunday. Dubbed "shock and awe", the package briefly cheered markets and offered some respite to the plunging euro, but doubts quickly resurfaced about the ability of governments to push through crippling cuts to conquer their deficits. Speaking a day after the joint agreement between the European Union and the International Monetary Fund was clinched, Merkel said it served to "strengthen and protect the common currency." The wider package followed a 110-billion-euro bailout deal for debt-wracked Greece, which was hugely unpopular in Germany and contributed to a shattering defeat for Merkel last Sunday in a key regional election. "What happened in Greece, that is to say the year-on-year falsification of statistics, is completely unacceptable," Merkel said.